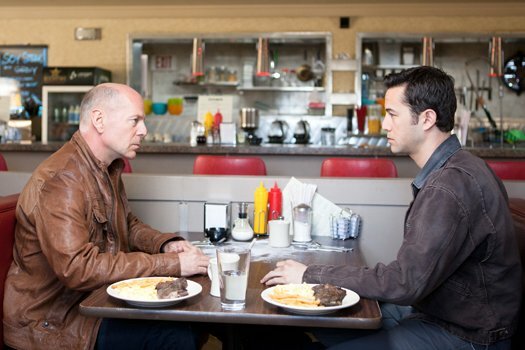 Joseph Gordon-Levitt and Bruce Willis star in the mind-blowing time travel action flick Looper, available on DVD and Blu-ray. David Cronenberg's strange but watchable adaptation of Don DeLillo's Cosmopolis, starring Robert Pattinson, should be interesting way to start your new year. Season 3 of the Western-esque series Justified arrives, as U.S. Marshal Raylan Givens takes on a new arrival from Detroit. ENTERTAINMENT: Just in time for winter break there are LOTS of new films being released this week. Clint Eastwood directs and stars in Trouble With the Curve, in which he plays a major league pitching scout who is starting to lose his vision. Amy Adams plays his daughter who is reluctantly brought in to help her father while Justin Timberlake plays his protege. We have this on DVD and Blu-ray. The well-reviewed Richard Gere comeback vehicle Arbitrage also arrives this week. Gere plays a hedge-fund manager whose financial empire is threatened, driving him to desperate methods to protect his fortune and family, including his wife Susan Sarandon. It's available on DVD and Blu-ray. Also, the audience favorite bike messenger thriller Premium Rush, starring Joseph Gordon-Levitt (who is truly proving himself to be one of our best young actors) comes out this week on DVD and Blu-ray. The big budget Total Recall, starring Colin Farrell in the Arnold Schwarzenegger role, comes to DVD and Blu-ray this week as well. There are a couple of family friendly films arriving this week. The latest installment in the hit Diary of a Wimpy Kid series comes to town this week, as Dog Days' Greg Heffley tries to survive summer. Meanwhile, teen (and adult!) Glee fans will want to watch the Anna Kendrick vehicle Pitch Perfect, a PG-13 musical comedy about a college a capella group. ENTERTAINMENT: The surprise comedy hit of the year Ted comes to DVD and Blu-ray this week. 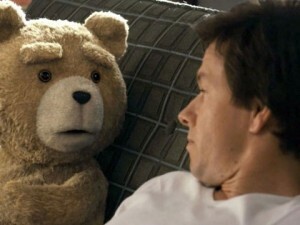 Ted stars Mark Wahlberg as a man whose best friend is his living teddy bear. Seth MacFarlane, who created Family Guy, is the writer, director and voice of Ted and on the heels of this film's success and his funny Saturday Night Live hosting gig he will be emceeing the 2013 Oscars. The movie is profane, foul-mouthed, hilarious and surprisingly moving. The latest film in the Bourne saga - The Bourne Legacy - also arrives this week. It stars Jeremy Renner as another graduate of the secret government program that created Jason Bourne. Also out this week is Ice Age: Continental Drift which follows Manny, Diego, Sid and Scrat on a high seas iceberg adventure where they run up against pirates! It's the fourth film in the successful Ice Age franchise and is available on DVD and Blu-ray. Finally, director Christopher Nolan (Memento, The Dark Knight trilogy) is one of our most gifted filmmakers so we are excited that his first film, the Memento-esque Following, arrives on DVD for the first time! SERIES: Lena Dunham's controversial HBO hit Girls comes to DVD this week following a group of twentysomething women living in New York City who try to navigate personal relationships and careers. It's sexually frank and vividly entertaining and Dunham is a real talent worth keeping tabs on. ENTERTAINMENT: The second highest grossing film of the year comes to DVD this week and it's also the second highest grossing superhero movie of the year! In The Dark Knight Rises, Bruce Wayne once again dons the bat outfit to protect Gotham from Bane. Batgirl is also along for the ride. 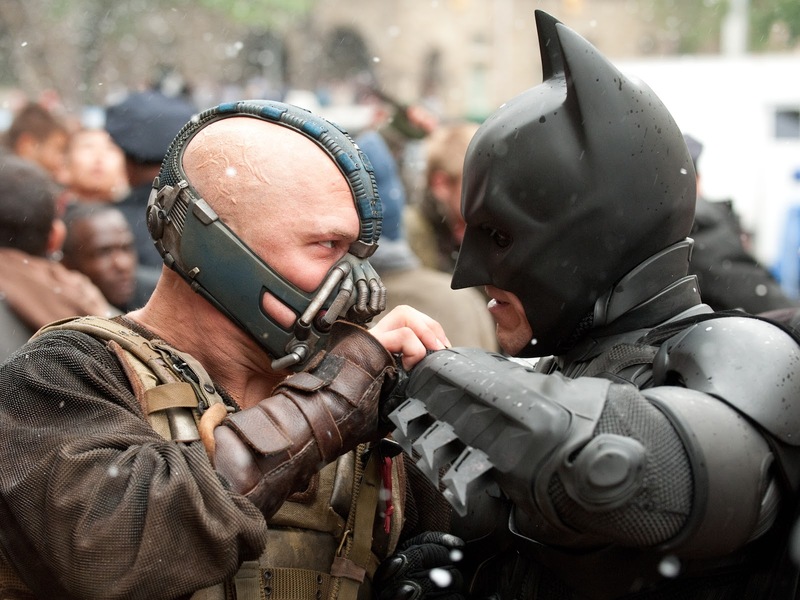 It's a superhero flick but it's not for the kids as Christopher Nolan gives us a dark vision of a bleak society. It stars Christian Bale, Tom Hardy, Anne Hathaway, Michael Caine, Gary Oldman and Morgan Freeman and we've got it on DVD and Blu-ray. Adults who are looking for something a little milder will want to pick up Hope Springs, starring Meryl Streep and Tommy Lee Jones as a couple who try to spice up their marriage. The Odd Life of Timothy Green is the story of a couple wanting to start a family who find an unusual child on their doorstep one night. It stars Jennifer Garner and Joel Edgerton. Beasts of the Southern Wild was the surprise hit of the summer, with an unknown cast in the story of a young Louisiana girl's quest to find her mother. SERIES: The eight-hour epic miniseries adaptation of Ken Follett's World Without End, which follows the story of four siblings in medieval England, arrives this week. Also out this week, is the third season of Eastbound and Down with loudmouth baseball pitcher Kenny Powers back from Mexico and headed to a Florida minor league team. SUBTITLED: Unforgivable is a moody French thriller, set in Venice, in which a crime writer hires a detective to look into his new wife's past.